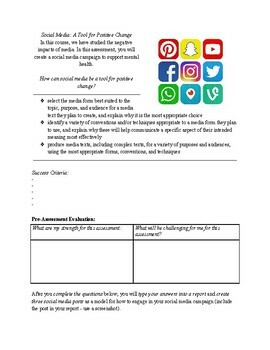 In this assessment, students are to create media using social media platforms to inspire change concerning a topic in mental health of their choosing. 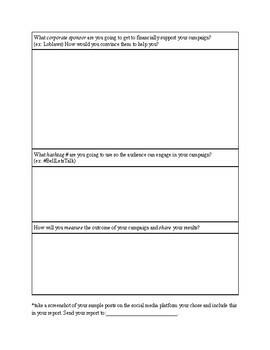 Students will create a social media campaign and write a report using the table included. 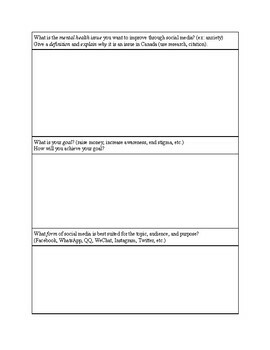 Questions asked in the table include: "What is the mental health issue you want to improve through social media? (ex: anxiety) Give a definitionand explain why it is an issue in Canada (use research, citation)." 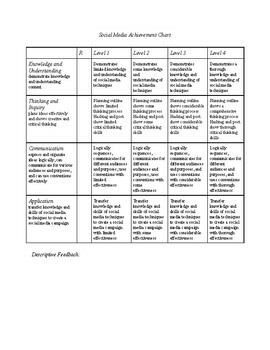 Also included in the package is a rubric for assessment.